CodeIgniter is an open-source software rapid development web framework, for use in building dynamic web sites with PHP. CodeIgniter is popular model–view–controller (MVC) development pattern. CodeIgniter is most often noted for its speed when compared to other PHP frameworks. Today mostly web development happens in CodeIgniter framework. In PHP interview a lot of questions are asked from CodeIgniter. Here we are listing most popular CodeIgniter Interview Questions with Answers. Codeigniter is the most popular open source PHP framework. It is very simple and lightweight. It can be used to develop any kind of web project from small website to large scale of application. 2. What are the most prominent features of CodeIgniter? It is an open source framework and free to use. It is based on Model View Controller (MVC) pattern. It has full featured database classes and support for several platforms. It is extensible. You can easily extend system by using your own libraries, helpers etc. 3. Explain the folder structure of CodeIgniter. 4. How to access config variable in codeigniter? 5. How to unset session in codeigniter? 6. How do you get last insert id in codeigniter? Hooks are the special feature of Codeigniter that allows to change the inner functionality of framework without making any change in core files of framework. The Hooks are defined in application/config/hooks.php. 8. What are different types of hook points in CodeIgniter? 9. 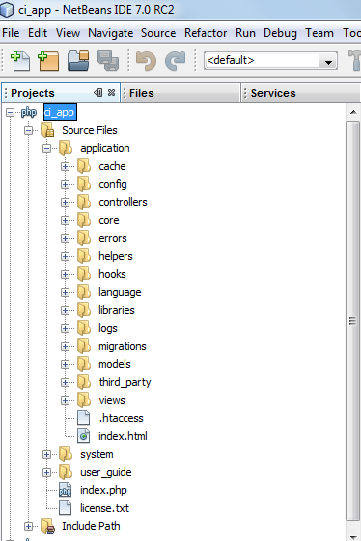 How can you load a view in CodeIgniter? 10. What is routing in Codeigniter? Instead of accessing files directly from browser, Routing enables to serve files differently. Routing is an important part of Codeigniter that enables to customize default URL pattern according to requirement to use your own and it redirect automatically to matched URL pattern by specified controller and function. 11. How to load Model in CodeIgniter? 12. What are the Helpers in CodeIgniter? The Helpers are the group of functions in a specific category that helps to perform particular functions. There are many helpers in CodeIgniter that you can use according to your requirement. The major CodeIgniter helpers are URL Helpers that assist in creating link, Form Helpers that help you create form elements, Text Helpers to perform various text formatting routines, Cookie Helpers to set and read cookies, File Helpers to help you deal with files etc. 13. List out different types of hook point in Codeigniter? 14. Mention what are the security parameter for XSS in CodeIgniter? 16. Explain what is inhibitor in CodeIgniter? 17. Mention what is the default URL pattern used in Codeigniter framework? 18. Explain how you can extend the class in Codeigniter? 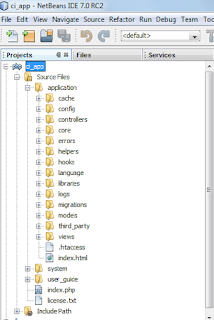 19.How can you load multiple helper files? 20. Explain how you can prevent CodeIgniter from CSRF? 21. Explain how you can enable CSRF (Cross Site Request Forgery) in CodeIgniter? 22. What are CodeIgniter drivers? These are special type of library that has a parent class and many child classes. These child classes have access to the parent class, but not to their siblings. Drivers are found in system/libraries folder. 23. How to initialize a driver in CodeIgniter?